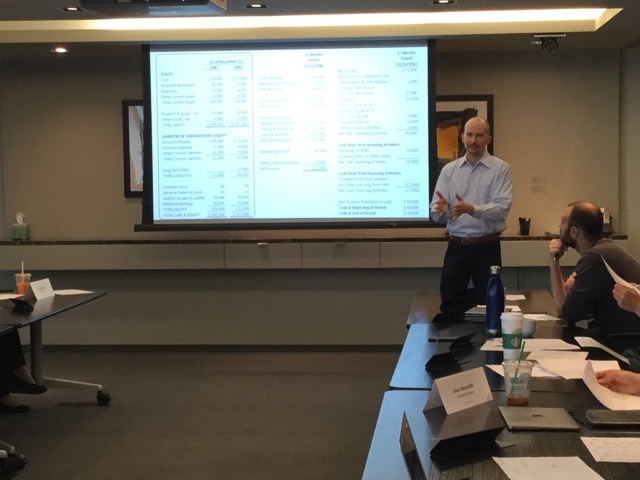 We recently had Rob McLennan, CFO of ParkWhiz, lead our class on Cash Flow Management for the JuntoIV cohort. ParkWhiz is a fast-growing Chicago startup where Rob has closely managed tens of millions in dollars in funding and revenues. 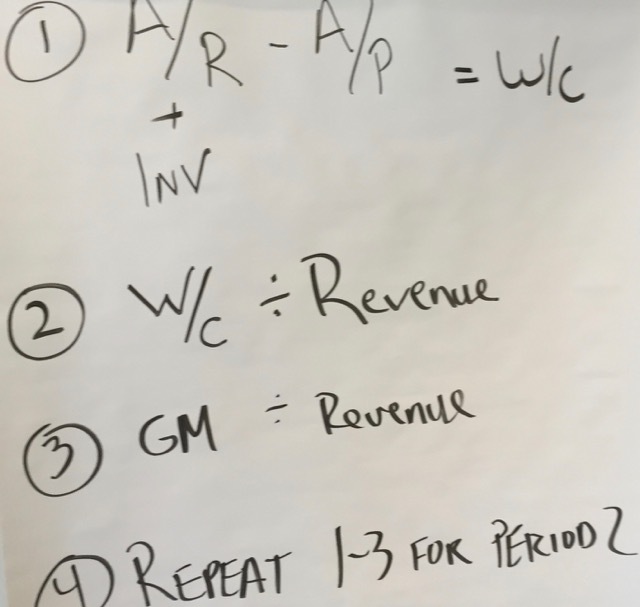 In the class, he spent time comparing and contrasting accountants, bookkeepers, and CFOs; discussing cash conversion cycles and basic financial analysis; and demonstrating the power of financial forecasting and modeling. The core of the session, however, was the four ways that every company can improve cash flows. Yes, "common sense" for many people, but for those of us who work with growth-stage companies on a regular basis, we know that few of them actually execute on these strategies diligently and regularly. Startups are notorious for underpricing their products and services, even when customers come back to buy again. It's the easiest, and often smoothest, route to better cash flows and profit margins, and can be tested through experiments. Web-based companies have the luxury of running A/B tests to try different price points and models, and offline companies (especially B-to-B) have the luxury of changing prices and models gradually over time and with different customers. Company: What does your product/service cost to produce? What level of quality are you providing? What is your market strategy? Customers: What is their perceived value of your product/service? What is their ability to pay? Competition: What are others charging? What makes you and them different? Find opportunities to reduce unnecessary expenditures, those that don't make money or save money (entertainment, administrative, office, etc.). Re-negotiate regularly with vendors, especially those whose business is increasing with yours. Fire customers who reduce margin because of their price sensitivity and/or higher servicing costs. Request up-front payments, even from big companies, if you have a strong value proposition. With those types of customers, it may also help to emphasize that your company is a startup that lacks the ability to finance its customers' purchases. Establish the payment structure at the start of relationship, especially in contractual agreements. Don't assume payment arrangements can't be changed. Similar to regular price increases, improved payment terms can be attained slowly over time. Know which vendors will give you time and which won't. Sometimes you can ask them, other times you may need to test them. Negotiate at the time of purchase. Again, growth-stage companies can use their small size and young age as an advantage during the negotation process. Watch out for hidden costs of delayed payment, not only interest but also late fees. Again, it bears emphasizing that although these are "no-brainer" strategies, few companies do them well. And because most startup founders are not accountants or CFOs by training and experience, financial management is often an achilles heel for them. But by working closely with an outsourced CFO (which is what Rob recommends over accountants for financial management purposes; I tend to agree), reviewing key financial statements on a regular basis (especially the cash flow statement), and becoming more educated about money matters, a company's leadership team can be in better control over their finances.